We are active on the INTERNET since 1997 which places us amongst the e-business pioneers in Europe: for more than fifteen years our customers have been able to order from our online-shop through a shopping cart and electronic payments. You can order around the clock and select amongst more than 20.000 of illustrated articles from the Franco-German philately. The encoding to SSL standards of your online-payment guarantees absolute security. Your credit card will only be charged once we carried out your order. You only get charged when we are ready to ship. In the calm environment of your home, you can make your choice through our website. Once your order has been placed, you will receive the stamps or sets we will carefully have selected for you in just a few days, in a philatelic stamped and privately insured letter - transport is always on our risk. Active since almost twenty years in the international stamp trade, we are a regular advertiser in the French-German philatelic press. Moreover, we are member of the American philatelic society APS, member of the general stamp dealer association of Germany, the APHV, and member of the International Federal Stamp Dealer Association IFSDA. 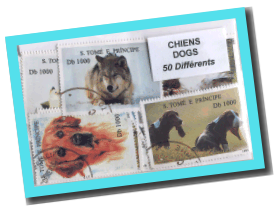 Therefore, your philatelic acquisition will be guaranteed according to international standards: We only offer unmounted mint never hinged stamps (fr. : neufs ** sans charnière, gomme d'origine intacte, dt. : postfrisch ** ohne Falz, unbeschädigter Originalgummi). a competent service, English correspondence, shipment from France free from charges (only within the European Community), shipment privately insured against loss during the transport). Je vous remercie pour votre rapidité d'expédition et la qualité de vos timbres qui est irréprochable. (J.T. Cartagena, Espagne). We are looking forward to receiving your order, which will be executed carefully.